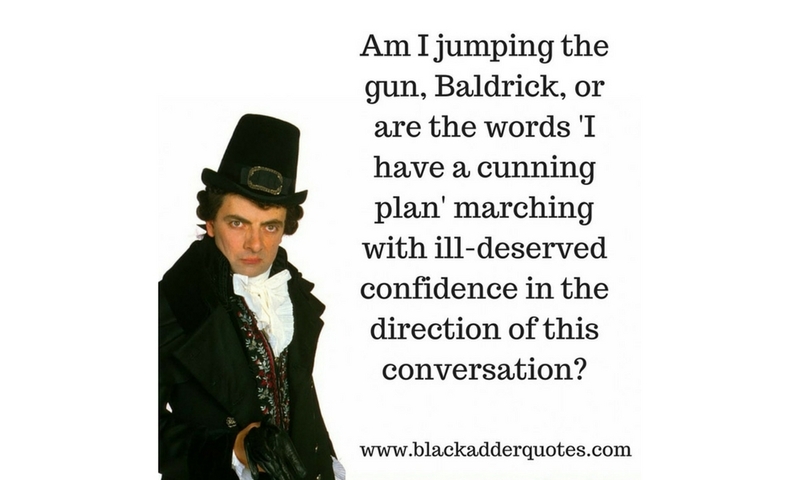 Am I jumping the gun, Baldrick, or are the words I Have A Cunning Plan Marching..
Am I jumping the gun Baldrick, or are the words I have a cunning plan marching with ill-deserved confidence in the direction of this conversation? 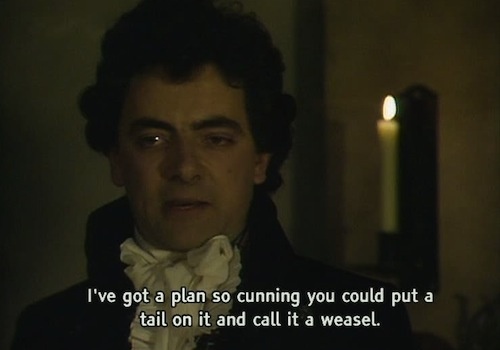 This is one of our favourite cunning plan quotes! This Blackadder quote is from the third series. The episode is Nob and Nobility. Are you interested in finding out who used the phrase ‘I have a cunning plan’ the most times? Then take a look here – I have a cunning plan. It breaks down who said the phrase, and how many times in each episode. 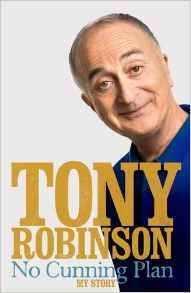 In a way, we a surprised that it took so long, but Tony Robinson released an autobiography called No Cunning Plan. This is a really good read, and whilst obviously Blackadder is going to feature in there, you will find out more about the man himself. We’re sure you have a favourite Cunning Plan moment, so let use know! We’d love to hear from you, so please leave a comment below. 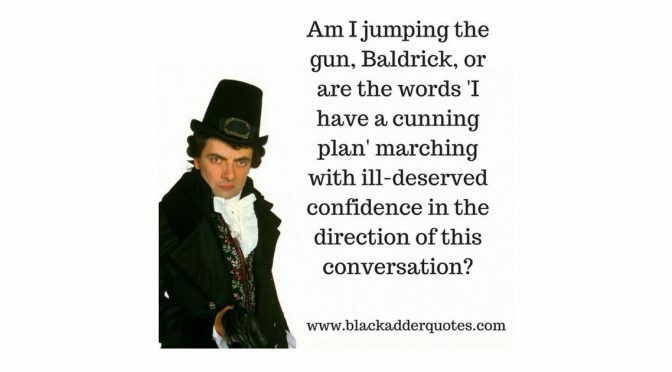 You might also like to like our Facebook page for regular Blackadder quote updates and fun!